The newly named destination club just launched its "Portfolio Membership" earlier this year, but in the slow economy has announced it is delaying any new developments. .. $300 million associated with its nine North American luxury fractional projects.."
The press release continued "Similar to luxury residential products, demand for luxury fractional units remains constrained by the weak economy and the significant supply of luxury residential real estate on the market. As a result, the company has decided to reduce prices of existing fractional units to accelerate sales and cash flow, prompting the third quarter charge. The company will sell a portion of its fractional inventory as part of the new portfolio membership program in Ritz-Carlton Destination Club ("RCDC")." "Initial customer response to the new portfolio membership offering has been favorable and is expected to show improved revenues as the economy recovers." I spoke to Ed Kinney, VP of Corporate Affairs and Brand Awareness at parent Marriott Vacation Club who said "for the near term the Ritz-Carlton Destination Club will finish up development of current projects, but not actively pursue new developments until we get a better sense of when the economy will rebound." 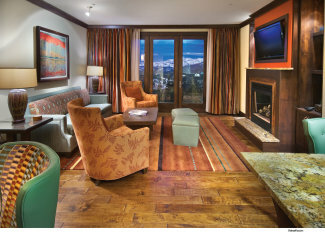 The club is due to open its Lake Tahoe residences in December this year and its Vail residences in 2010. Ed continued "Ritz-Carlton Destination Club has been very well received; it takes a while for it to build momentum. We are still very committed to the Destination Club in its two forms." The Club announced its first two locations, Aspen Highlands, Colo. and St. Thomas, U.S.V.I, in 1999 and is celebrating its tenth birthday this year. "Our decade-long success is an acknowledgement of the legendary service commitment, as well as the intimate and rewarding, one-to-one relationships we've developed with our Members," said Peter J. Watzka, Executive Vice President and Chief Operating Officer for The Ritz-Carlton Development Company, Inc.. "We continue to surpass Member expectations by creating extraordinary experiences, heightened levels of personal service and new membership options like Portfolio Membership." Home Club membership, in which members enjoy up to 35 days per year of pre-reserved access at their specific Club residence. This is akin to fractional ownership of a private residence club. Portfolio membership provides flexible access to all the Clubs locations and is more akin to a traditional destination club. Ritz-Carlton told me that they have already reduced the prices at select Home Club locations, while the price for Portfolio membership is staying the same as at launch earlier this year. It's anyones guess as to whether the economy has finally started to turn up, but the bounce in the stock market is certainly encouraging. 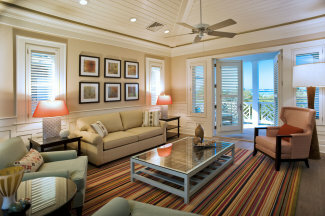 So the price reductions by Ritz-Carlton may make it a good time to buy if you're looking at a shared ownership option.